Save the dates!! 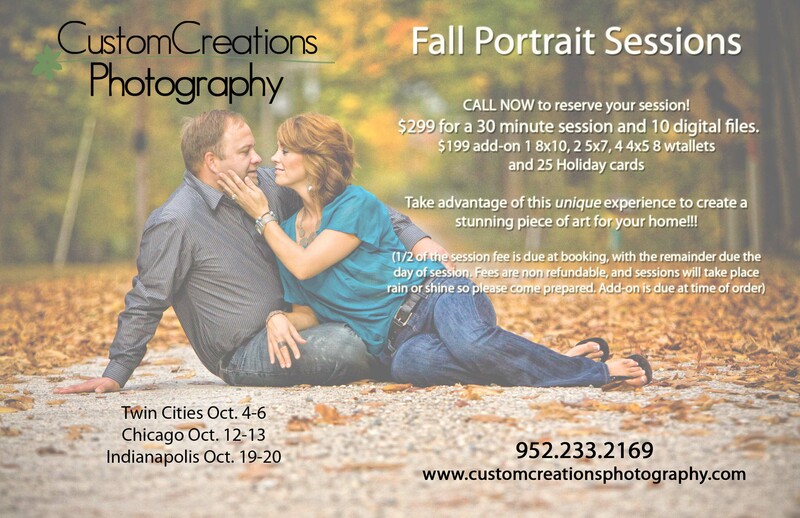 Fall Family Outdoor Portrait Sessions!! $299 for a 30 minute session and 10 digital files!! $199 add-on 25 Holiday cards 1 8×10, 2-5×7, 4-4×5 and 8 wallets!! !